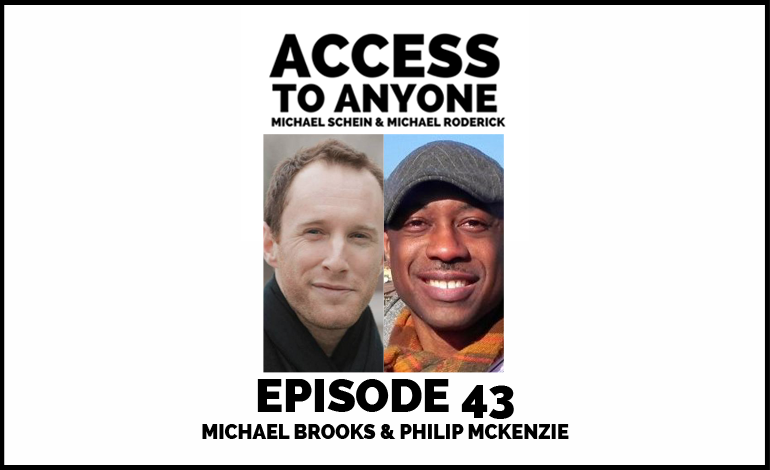 Michael Brooks and Philip McKenzie are the co-hosts of 2 Dope Boys & A Podcast, a trends and social insight show that keeps culture at the center of every conversation. On today’s episode, they talk about creating a cultural economy, and how it inspires deeper connections and mutually rewarding relationships. They also discuss the power of personal circles, and explain why friendship and business are more interconnected than you might think. Focusing on connecting instead of networking. The relationship between culture and brand. Valuable lessons on connection from Star Trek and Lady Gaga. Why influence is really about culture (and not celebrity). Michael Brooks is a contributing host for the four-time award winning independent political talk show, The Majority Report. He appears regularly as a political and cultural analyst on outlets including Huffpost Live, SirusXM, AlJazeera English, CCTV and France 24. His writing has appeared in Al Monitor, Al Jazeera, the Washington Post, among others, and he has blogged for leading trend watch site PSFK. He is also known for his impressions of cultural figures from Donald Trump to Nelson Mandela. Philip L. McKenzie is the Global Curator for Influencer Conference, a global content platform that brings together tastemakers in the arts, entrepreneurship, philanthropy and technology to discuss the current and future state of influencer culture. Prior to that he was the Managing Partner of FREE DMC, an influencer marketing agency that specialized in integrated marketing strategy, digital content creation, and experiential events. In his roles with FREE DMC, Philip created strategic experiential campaigns for Jaguar, Sprite, Remy Martin and Belvedere Vodka. He is also a writer, rabid music fan and accomplished DJ.